Short (30-45 min) live demonstration of popular topics, followed by a 45-min Q&A, offered each month from 5:30-7 pm Pacific Time on the second Sunday of the month. Do your shadows look like cardboard cutouts or dull, lifeless holes? Do you struggle with creating believable neutrals for things like tree trunks, rocks or weathered buildings? Do your clouds look like aerial dust bunnies? Mixing your own greys can help you achieve lively shadows, believable neutrals and airy, light-filled clouds. And it’s also a great way to learn to easily and intuitively mix colors across the entire spectrum, because it quickly fine-tunes your ability to recognize direct complements. I’ll be demonstrating some of my favorite mixtures for grey, including a secret for mixing greys to create a sense of warm light glowing behind the edges of clouds. Bring your questions about greys and shadows and neutrals—and a favorite combo for mixing grey to share, if you like. No more teeny timid lonely blossoms floating in mishmash of streaky, muddy color. 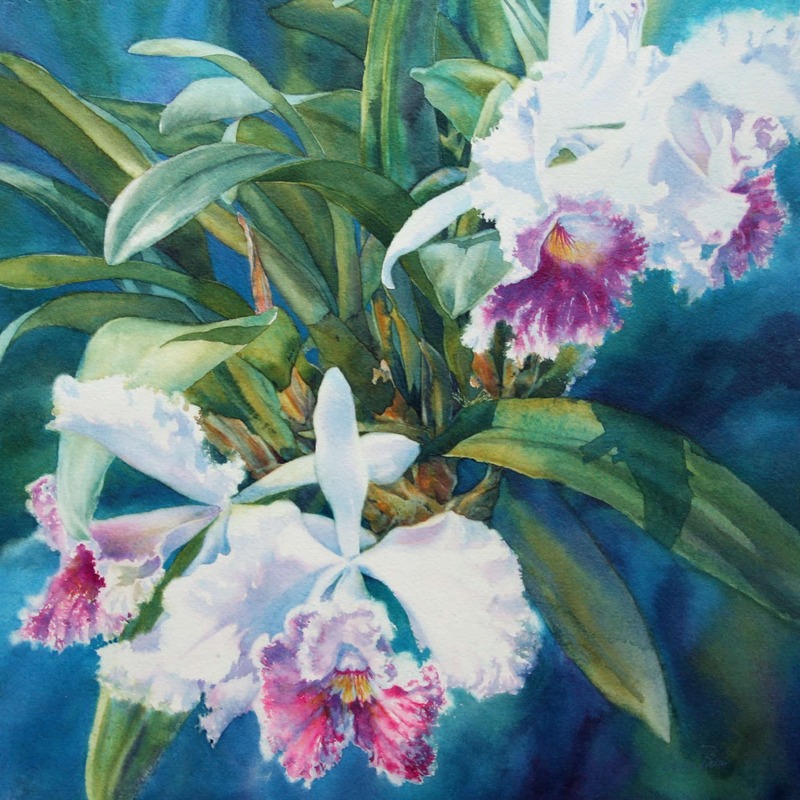 In honor of Mother’s Day, let’s take a look at some tips for creating bold, lively florals in watercolor. We’ll talk about design tricks that help you handle out-of-focus, wet-in-wet backgrounds, tips for using a variety of types of edges to suggest depth and give the illusion of petal and foliage textures and how to create sense of light falling on or glowing through leaves and petals. Seems like a perfect opportunity to share some of my favorite tricks for suggesting bark, rocks and masses of foliage in landscape paintings. I’ll have photos and sketches (and maybe even some short video clips) from our trip down the coast and through the big redwoods to inspire us. Gather your materials and test your setup indoors now to be ready for plein air sketching when nice weather arrives. In this demo, I’ll show you several different options for light, packable watercolor sketching kits, and give you a few tips for selecting a manageable subject from the sometimes overwhelming wealth of options when working on location.